The smell of pancakes cooking on the griddle. I don’t know about you, but pancakes on a rainy Saturday morning seem just about the perfect thing. It’s been years since I’ve had regular pancakes. I gave up eating wheat after learning that wheat is a major inflammatory food and it affects the arthritis in my knees. So I went searching for a “gluten free” recipe. But I wanted one that uses normal and whole ingredients rather than processed, refined, high carb flours in place of the wheat. 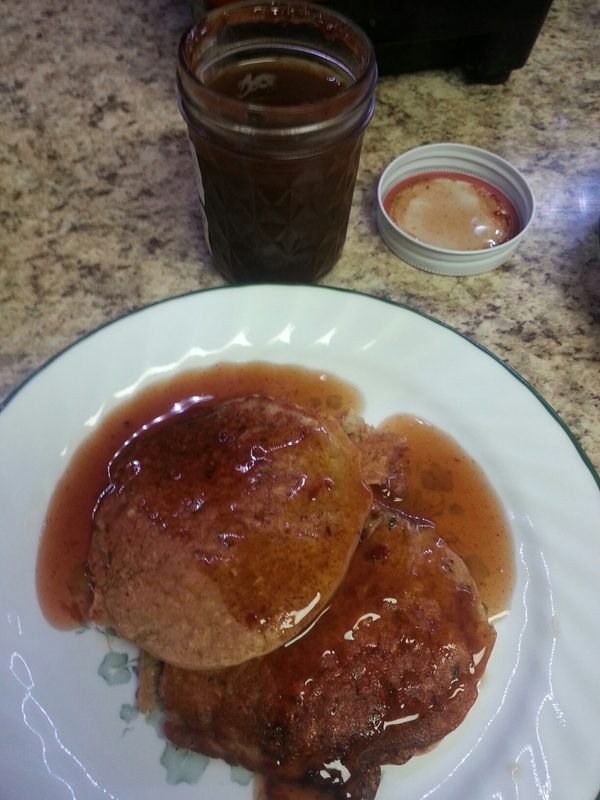 I stumbled across this oat pancake recipe at www.mountainmamacooks.com. Orginally it called for a banana, but I am fresh out of bananas and I have quite a lot of frozen zucchini from this summer’s bounty. Besides, the Hubby likes zucchini better than banana anyway. (BTW, I think it’s so adorable that Flower Girl says banana like a Minion – BAN-nah-nah :-). The original recipe also called for almond milk, but we use regular milk. 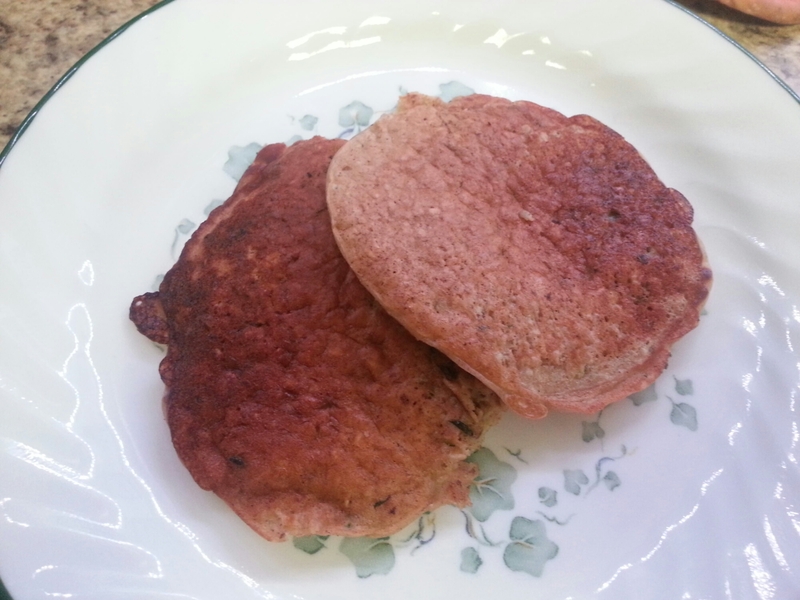 The pancakes have a very moist and chunky texture, even with highly ground oats. I’ve never experimented with using quick/instant oats since old fashioned are all we ever buy. Maybe it wouldn’t be quite so chunky with instant oats? As an aside, the girls helped make the pancakes this morning. Flower Girl helped add a few ingredients as is fitting for an almost-three-year-old. But Princess Girl helped with all of it. Not only did she help gather the ingredients, add them to the batter, do some of the mixing, and help with the cooking, she also did all the calculations to add a half batch to the recipe. She’s learning more complicated fraction operations in her school work, so this was perfect. She not only had to halve the recipe, she then had to add that half to the original. Natural learning for the win! One thing about these pancakes, they can seem take forever to cook (thus the picture above). 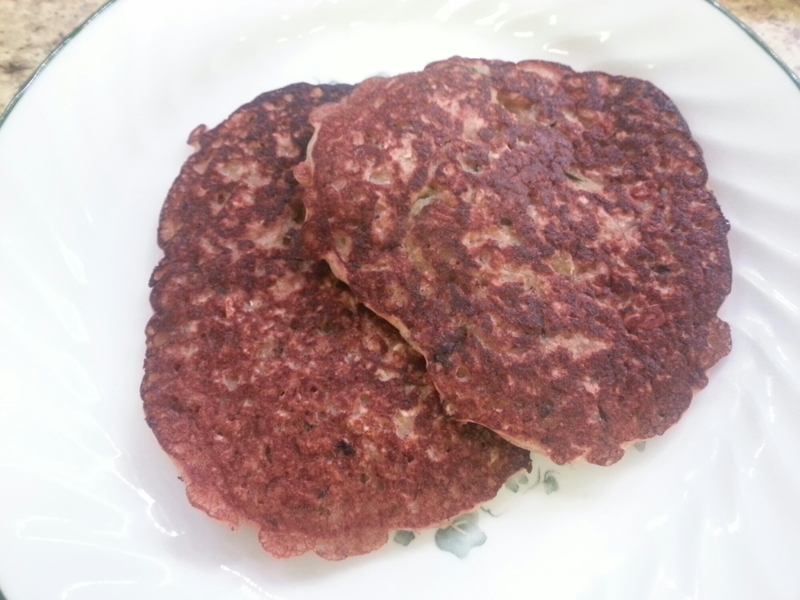 So I usually end up cooking them at a higher temp to speed up the process and they tend to get rather dark brown. Compare the two pics below. If you’re looking for a gluten free pancake that is as close to traditional pancakes as possible, these aren’t them. But we all like the way these turn out. In fact, I personally like them even better. I always felt guilty eating regular pancakes. I felt that I was eating nothing but fluff and sugar – in essence, nothing more than cake. 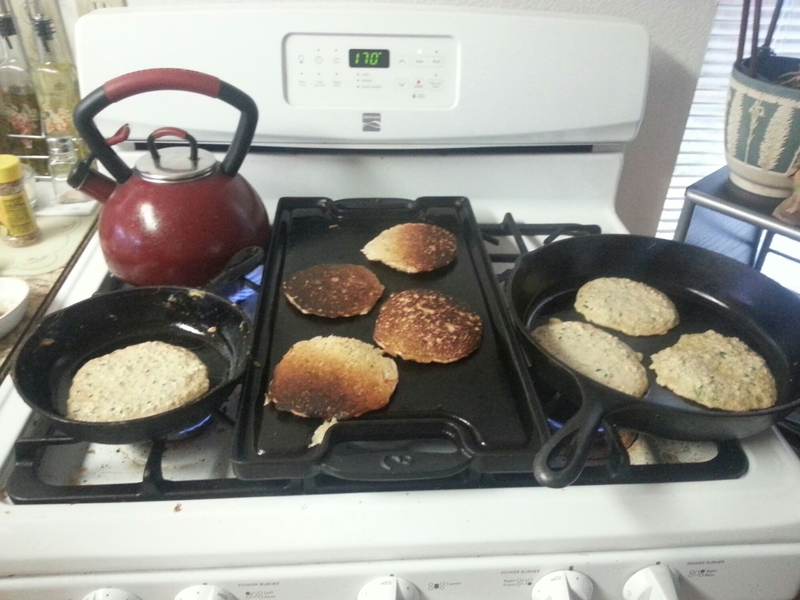 But these pancakes are filled with good quality, nourishing ingredients. And they taste phenomenal whether you use banana or zucchini! Place oats in blender or food processor and pulse until it is chopped up fine like oat flour (I suppose you could also just use purchased oat flour as well). Add other dry ingredients and pulse to combine. Add remaining ingredients and mix well. I usually heat the oven to as low as it will go (170° on ours), place a plate in there, and put the pancakes in there as each one is done. This keeps them warm till they are all finished cooking and we can all eat together. And that makes for a very good Saturday morning. 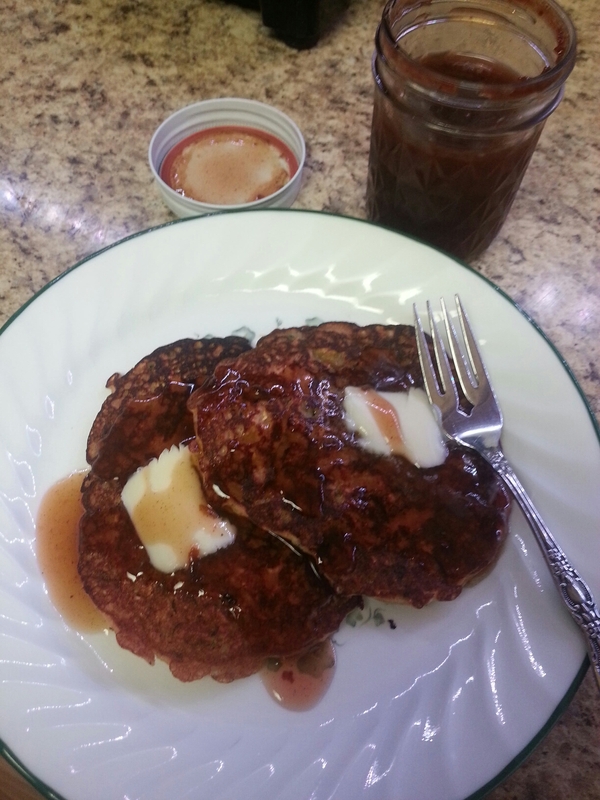 This entry was posted in Food Stuffs, Homemaking, Portland Interlude 2014-2016, Recipes and tagged cooking, gluten free, Homemaking, Homeschool, Homestead Kids, Natural, pancakes, recipe on October 17, 2015 by Maridy. i loved those pancakes, they are good! !